My colleague, Christine Bittner Agee, who runs the Parents and Educators Preparing OUR Children for the Future Facebook page, recently posted an article from the Institute for Multisensory Learning Journal (IMSE) on spelling. The article is generally on target with its spelling instruction advice. I would like to add my advice to parents on spelling concerns, adapted from my new book from Garn Press, A Parent’s Guide to Public Education in the 21st Century: Navigating Education Reform to Get the Best Education for my Child. I think this could be useful for teachers looking to provide counsel to parents worried about their child’s spelling development. What should I do if my kid can’t spell? Of all the topics of concern I have been asked about by parents over my years as a literacy specialist, spelling is number one by far. I suppose this is because spelling errors are so visible and easy to spot. Reading errors are harder to see because they mostly happen in the reader’s mind, but spelling errors are out there for all to see. In order to reduce spelling anxiety, I think there are a few facts about spelling that all parents need to know. Spelling is not related to intelligence. Many very smart people don’t spell well. Albert Einstein was a rotten speller. Spelling proceeds through regular developmental stages beginning with regularly spelled single syllable words (cat, bit), moving to irregularly spelled single syllable words (noise, weigh), proceeding to multi-syllable words (battle, motel) and finally to low frequency words, often derived from Greek or Latin (pneumonia, misogyny). Early readers and writers benefit from approximating the spelling of words in their writing (inventive spelling). All writers, even adults, approximate spellings of unfamiliar words. Good spelling is primarily a function of good visual memory. Good spellers create a mental picture of a word through their reading and replicate that when they write. That is why when asked to spell a word, we often write it down to see if it “looks” right. Some children and adults do not have a strong visual memory and are, therefore, not strong spellers. Most good spellers are also good readers, but not all good readers are good spellers. Studying ten random words for a spelling test at the end of the week does not improve spelling in real world situations. 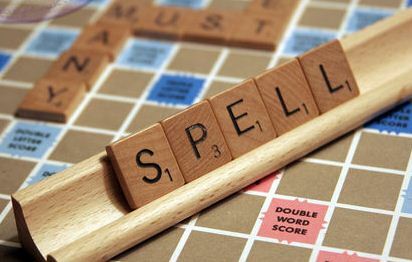 Poor spellers need to develop strategies to overcome this problem, These strategies include writing drafts of communication and then checking the spelling and using spelling aids such as the dictionary and spell check. When working with your own children, it is a good idea to lower the spelling anxiety and provide understanding and support. Remember that using approximate or invented spellings is a normal part of the writing process. But we also want kids to develop a spelling conscience – an awareness that spelling matters. Children should be held accountable to spell correctly words that they already know how to spell and words that they can easily find in the classroom environment. By grade three children should be held responsible to correct their spelling on written work that is to be turned in. As I write this, the Senate's Health, Education, Labor, and Pensions Committee (HELP) apparently needs help. They have been unable to come up with consensus rules for the new Every Student Succeeds Act (ESSA) on such issues as "supplement-not-supplant" (about how Title 1 monies are used) and "assessments" (what kinds of tests will be permissible). Apparently coming up with actual rules is more difficult than thinking up Orwellian doublespeak titles like "Every Student Succeeds Act." I wonder if the creators of this acronym know that it also stands for European Salmon Smokers Association? I am not kidding; you could look it up. The chief culprit in the differential learning outcomes for children in the United States is poverty. No education plan can hope to be successful unless it is tied to a full frontal assault on poverty. We now know that poverty causes actual brain damage that limits the educational possibilities for many. We have long known that poverty greatly impacts the educational opportunities of poor children. An assault on poverty would include increasing the minimum wage so that every person working 40 hours a week can support a family with adequate food and shelter and emotional nourishment, government programs to provide jobs for those who cannot find work (rebuilding our crumbling infrastructure, including dilapidated schools would be a good place to start) and high quality, safe and professionally managed daycare for parents who require these services to be able to work. For those unable to work we must have generous programs offering food stamps, housing vouchers and cash to insure a reasonable standard of living. Free neighborhood health clinics to insure effective prenatal care, regular pediatric checkups and screenings for vision, hearing, nutrition, lead poisoning and any other aspects of health that have been shown to harm a child's ability to learn. In school health services would include one nurse for every 150 children and one school counselor for every 200 students. Preschool has been shown to be an effective way to combat some of the problems related to poverty. Often, however, the preschools available to children of poverty are substandard and not professionally staffed. Teachers in preschools should be fully certified in early childhood education and supervisors should have both early childhood professional credentials and also experience in early childhood education. The focus of preschool should be on learning through well-structured and purposeful play. Smaller classes help all students succeed (Schanzenbach, 2014), but they are particularly effective for students growing up in poverty (Achilles, et. al, 2012). It is important to note; however, that class size reduction must be accompanied by changes in teacher instructional style to reap the benefits of smaller classes. With this in mind, this plan will include professional development for teachers to help them adjust instruction for the new smaller classes. Students will be assessed in reading, writing, math, social studies, science, health, art, music and physical education at every grade level. In coordination with and under the guidance of the teacher, students will gather a variety of artifacts to demonstrate their learning throughout the year. Artifacts will include writing samples, logs of books and articles read and written and oral responses to the reading, science lab reports, written history reports, math problem solving evidence, reports on a variety of topics, classroom tests and quizzes, and teacher designed common assessments. Scoring of the artifacts will be based on rubrics that define performance and test scores. The state will trust the professional educators to do this work with a high level of expertise, validity and reliability. The state will verify compliance by randomly selecting a dozen portfolios from the school as a check to ensure that the school is maintaining high standards of student learning. Like the students, teachers will be evaluated through a portfolio that shows evidence of successful student learning throughout the year. 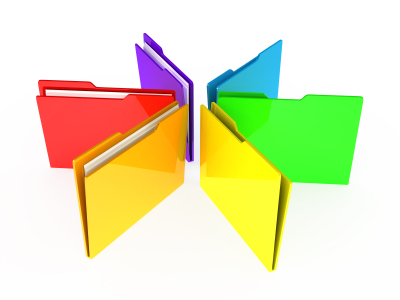 The portfolio will contain samples of student work, sample student assessments, teacher lesson plans, evidence of student learning, evidence of teacher collaborative work, documentation of improved practice based on observation feedback, student surveys, teacher self-reflection and documentation of professional development activities. The state will trust the professional supervisors in the building to do this work with a high level of expertise, validity and reliability. The state will verify compliance by randomly selecting 6 teacher portfolios from the school as a check to ensure that the school is maintaining high standards of teacher performance. Like the students and teachers, schools will be held accountable for student performance based on a portfolio that demonstrates that the school is meeting the needs of all children. The school portfolio will include student standardized test scores for the one grade where these tests are given in the school (say 4th, 8th, or 11th), reports on programs offered at the school, including minority enrollment in the programs, specific evidence of a rich and varied curriculum open to all students, documentation of meeting the needs of all students through support programs, special education and ESL, and documentation of efforts to include parents in the life of the school. The state will trust the professional principals and vice-principals compiling these reports to do this work with a high level of expertise, validity and reliability. The state will verify compliance through a regularly scheduled visit to the school every other year. 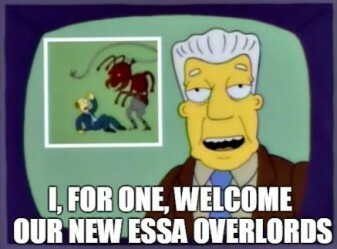 The state will be held accountable to provide the federal Department of Education with evidence that it is waging an assault on poverty through effective economic, health care and worker programs like those outlined above and that it is focused on developing the kind of professionally autonomous teachers needed to make this ambitious program work. If the state is unable to provide such evidence, they risk having the HELP rules committee taking up residence in the state capitol to bring its own special brand of legislative inertia down on the state. So, that is my plan. If states are truly interested in acccountability, this is the approach they should take. I am sure you have ideas of your own. What would you add? I am going to sit back and wait for those state government leaders to come calling. I won't hold my breath. 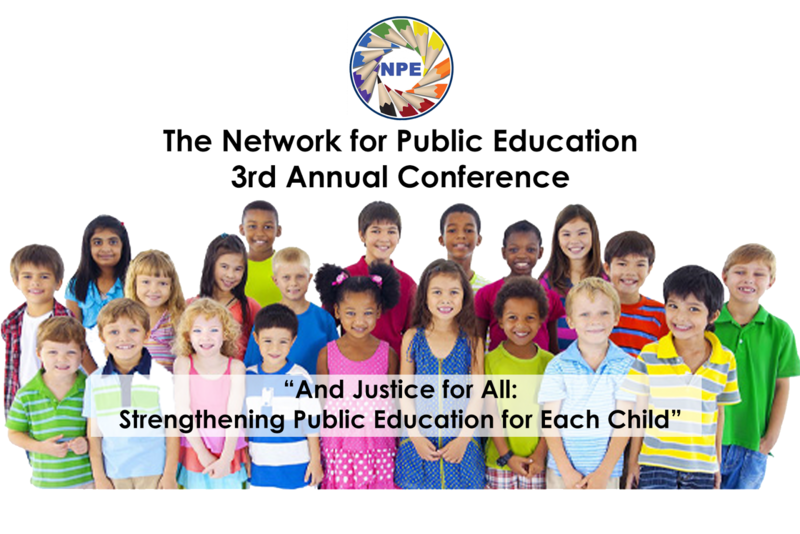 Greetings from Raleigh, North Carolina where I am attending the 3rd annual Network for Public Education (NPE) Conference. North Carolina has been in the news a lot lately because of the Republican governor and Republican dominated legislature has decided to strike a blow for ignorance and pass a law blocking anti-discrimination laws protecting gay and transgender people. This act has brought nearly universal scorn down on North Carolina. Bruce Springsteen cancelled a concert, Cirque de Soleil cancelled performances, PayPal and other companies are “reconsidering “expansion in the state. This reaction is great of course and I applaud all of those who are using their considerable powers to protest this risible legislation. I only wish that all these folks would gather up the same righteous indignation for what this same state administration has done to destroy the public schools of North Carolina. The NPE is meeting in Raleigh because we seek to fly into the eye of the storm. And the storm clouds have been gathering over North Carolina’s schools for years. In the not so very distant past, North Carolina was the model for effective public education in the South. Only a few years ago North Carolina teacher salaries ranked 27th in the nation – in 2015 they ranked 47th. A teacher with 30 years of experience in North Carolina can make 50,000 dollars a year. That’s right, after 30 three years – talk about a career path! The state has also struck down any salary bump for completing a Master’s degree, so if you choose to make a career of teaching in North Carolina, you pretty much resign yourself to penury and a part time job at the 7 Eleven. But of course, even if you do decide you can live on little money because you love the job and love the kids, there is no guarantee, even if you do the job really well that you won’t be fired because you got too expensive or because the school board president’s sister’s brother-in-law needs a job. That’s right, tenure is also under attack in North Carolina. The legislature has tried to strike down tenure several times, but the courts have blocked them, at least partially. In the latest ruling, the court said the legislature can’t take away tenure from those who already have it, but those who don’t and those who may wish to enter the profession will be denied this job protection. And while North Carolina apparently can’t find the money to pay its teachers a living wage, they have found lots of cash for “Opportunity Scholarships”, money for parents to use to send their children to private schools. The money for these vouchers comes out of money that could be spent on improving public schools, of course, but North Carolina leaders seem hell bent on destroying a once very viable public school system. The governor and the legislature of North Carolina have made it clear to teachers: we don't want you here. Some North Carolina educators have already taken the hint and are searching for jobs elesewhere. Many more will likely follow them. In fact, The Charlotte Observer reports that schools in Texas are actively recruiting North Carolina teachers and are offering them hefty salary increases. So we gather in Raleigh, North Carolina this weekend to make sure these destroyers know that we will not be silent in the face of this unconscionable destruction. While opt out is having an impact, states with corporate education reform friendly governors are plowing ahead with plans to make standardized tests like PARRC and SBAC a graduation requirement. Most recently, New Jersey made passing the PARCC test mandatory for students starting in 2021. This is wrongheaded in the extreme and is likely to result in chaos in New Jersey in a few years, as thousands of students miss the test’s arbitrary “cut score” and appeal to the NJ Department of Education seeking their diploma. I do think it is fair of reformers to ask those of us opposed to high stakes standardized testing to offer an alternative. If high stakes standardized tests are poor measures of student knowledge, teacher effectiveness and school performance, what is a better way to assess these things? If high stakes standardized tests narrow the curriculum and reduce weeks of instructional time to test prep work, what is an alternative that broadens the curriculum and encourages genuine learning activities? The answer is portfolio assessment. Portfolio assessment is an authentic assessment that has the potential, not only to provide useful information on student, teacher and school performance, but that can also encourage genuine learning activities in the classroom and the broadening of the curriculum. In New Jersey, portfolio assessment has been suggested as an alternative for students who fail the PARCC test. I would argue all New Jersey students would be better off if we just skipped the test altogether and went straight to the portfolio. Here is how it could work. A series of authentic assessments for each student could be gathered in a portfolio. Just as an artist, photographer or actor prepares a portfolio of work to show to prospective employers or clients, so too can a student, with the guidance of the teacher, prepare a portfolio of work that reveals learning accomplishments throughout a high school career. This portfolio documentation provides a much richer picture of the student’s learning for the teacher, the student, the parents and the state. A teacher’s evaluation, too, could best be accomplished through a portfolio. A teacher’s portfolio might contain sample lesson plans, samples of student work, samples of assessments given to students, copies of observations, documentation of student learning, documentation of improved practice based on feedback from observations, documentation of professional development, samples of parent communication, student surveys and more. As with a student portfolio, the teacher portfolio gives a richer, more complete picture of the performance of the teacher than any standardized test could provide. A portfolio could form the basis of a genuine conversation between teacher and supervisor aimed at improved performance. Finally, a school’s performance could also be best thought of as a portfolio providing evidence of meeting students’ needs. The school’s portfolio would include standardized test scores (given once every 3 or 4 years), but would also include reports on program, evidence of a rich and varied curriculum, documentation of meeting the needs of all children, documentation of efforts to invite parent participation in the life of the school, reports on hiring and evaluation processes and more. Authentic assessments are time consuming and influenced by human factors that statistics cannot always control for. They are also much more valuable as tools for guiding decision making and for informing the public than are the quick, fuzzy snapshots provided by standadized tests. Portions of this post were adapted from my new book, A Parent’s Guide to Public Education in the 21st Century: Navigating Education Reform to Get the Best Education for Your Child. Learn more about the book here. A few years ago when I was working with several groups of teachers on a new language arts curriculum for a K-12 school district, I provided them with a list of “non-negotiables” for reading instruction to be included in all curriculum documents. I first heard the term non-negotiable in this context from literacy specialist, Cindy Mershon. These instructional practices were “non-negotiable” because research had overwhelmingly confirmed that they were effective practices. Over the years as new research has come out, the list has changed slightly. If I were writing the list today, here is what would be included. One of the more disturbing aspects of current trends in literacy education is the reports I keep getting from classroom teachers who tell me that reading aloud is being discouraged because it is not "rigorous" enough or because more time needs to be devoted to test prep. So, let me state this as clearly as I possibly can, read aloud is a central part of effective literacy instruction and should be happening daily in every classroom. This is not open for debate. Don't take my word for it, here is a list of 13 scientifically based reasons for reading aloud to children. Among these well researched benefits are exposing students to a greater variety of literature, encouraging students to view reading as a part of their daily life, building background knowledge, providing a model of fluent reading, encouraging student talk about text, increasing vocabulary and helping students view reading as a pleasurable activity. Here is another resource on the importance of reading aloud. When choosing a read aloud, I would encourage teachers to choose the very best that literature and informational text has to offer, whether that be picture books, novels, histories or scientific texts. When reading aloud, we can aim high because kids listening comprehension outpaces their reading comprehension by about two years and because we can easily scaffold their understanding by "thinking aloud" about the text as we read. Read aloud also provides a great opportunity for teachers to model important comprehension strategies. Just do it. Most elementary teachers are familiar with the instructional activity called "shared reading", but teacher, administrator, writer, Shelley Harwayne, offers a broader view of the activity, calling it sharing reading. When teachers share reading they first choose something that is worthy of sharing, a poem, a big book, a song or chant and then display the piece so that students can join in the reading. Shared reading allows children to work together as a community of readers to enjoy, discuss and participate in a real reading experience. But sharing reading can also include the teacher sharing environmental print found in the classroom and hallways. Sharing reading can also be effective with older readers, when texts are chosen wisely for specific purposes. Potential texts for sharing reading with older students include poetry, newspaper articles or particularly knotty passages from novels or informational texts. Displaying these texts on the Smart Board, document camera or overhead allows all students to share in the reading work. Kids need lots of time to read independently in self-selected books to become proficient readers. Independent reading is an important instructional strategy that allows students to practice and consolidate all the good reading strategies the teacher has been teaching. Self-selected reading should not be confused with reading that is not guided by the teacher, however. In a quality self-selected reading program, teachers guide students to find books that they will enjoy and that they will be able to read successfully without teacher instruction. While students are reading, teachers have the opportunity to confer with the students to check on their progress. For more on independent reading try this article. When students are reading indepently, teachers have an excellent opportunity to hold a one-to-one conference. These brief conferences give the teacher a chance to check that the book is a good choice, to listen to the student read and have the student do a retelling to assess comprehension. Anecdotal notes taken during these conferences provide the teacher with guidance for future reading instruction for the student. Jennifer Serravallo literally wrote the book on conferring with readers. You can find her webinar on the topic here. Direct instruction in reading strategies works. While many readers develop strategies on their own, many do not. The good news is that research has demonstrated that students can learn to use these strategies to improve fluency and comprehension. Among the strategies that can be taught and are shown to be helpful are question asking and answering, activating background knowledge, summarizing, visualizing and making connections. Much of the emphasis in the Common Core has been on knowledge driven reading comprehension, as has been promoted for 30 years by E. D. Hirsch and others. While lots of knowledge of a topic certainly aids in comprehension, so does a strategic approach to comprehension. For more on teaching reading strategies, you may want to look at Michael Pressley's article here. Children in any one classroom read at many different levels. This means that whole class texts or novels will be too easy for some, too hard for others, and just right for a some others. Only by teaching in small groups can teachers hope to be providing the majority of the students in the class with instruction that is "just right" for them at any given time in their literacy development. Grouping strategies such as those suggested by Fountas and Pinnell in Guided Reading and Guiding Readers and Writers in Grades 3-6 are very helpful in guiding teachers in the design of small group reading. Rereading allows students to improve their fluency and comprehension of text. It is one of the most powerful instructional strategies available to teachers. Giving students opportunities to read and reread short texts is a best practice. Teachers can have students reread poetry, take books read in class home to read to parents, partner with other students to buddy read, and have students participate in reader's theater activities where they rehearse reading a story, poem or play aloud in order to prepare for a performance. For more ideas about rereading as a powerful instructional strategy, you can look here. Literacy researcher, Linda Gambrell (2004), says that engaging students in discussion about text results in improved comprehension of text, higher levels of thinking skills and increased motivation to read. In encouraging student talk about text, we have many models to choose from including book clubs, literature circles and questioning the author. The teacher plays the role of model and facilitator, gradually releasing the children to talking to each other about text as we build their capacity both to talk to each other skillfully and to focus on important elements of the text. Here is a transcript of a talk by researcher P. David Pearson on getting the most out of talk in the classroom. Writing about what we read is one of the strongest ways to improve reading comprehension. When we write we must reflect on what we have read and attempt to articulate our understanding through summary, analysis and critique. Writing activities engage the whole brain in thinking and responding to text and help us solidify our understanding. As with all reading/learning activities, students need teacher models, scaffolds and feedback on their writing to develop skill in responding to what they read, but research would indicate that the effort is well worth the learning rewards. You can see what literacy researcher Tim Shanahan says about writing in response to reading here. One aspect of becoming a good reader is facility in decoding words. Decoding is developed through daily reading activities including independent reading, sharing reading, rereading and guided reading, but class time must also be spent on learning sight words that cannot be easily "sounded out" (was, because), learning letter/sound correspondences, learning spelling patterns or word families (right, fight, might, flight), learning to break words into chunks (ch-unk-s), spelling and vocabulary development. Word work can take the form of direct teacher instruction, word wall activities, prompting at the point of difficulty during conferences or guided reading, making words activities and spelling instruction. Word work in kindergarten and first grade will also include phonemic awareness - developing the ability to hear and manipulate sounds in words. As children get older and more proficient at decoding, word work will also include a greater focus on vocabulary development. These are my ten reading non-negotiables. It is a daunting task to balance all of these important aspects of reading instruction in the busy daily activity of the classroom, but this is the challenge for the teacher of literacy. We must find a way to balance all of these priorities to help all students develop both the skill and the will to be excellent readers.